Spring is just around the corner in Northern Indiana and soon the cold winds and snow will give way to warm breezes and the summer rain. It’s also the time of year that I really start to crave food cooked on a grill. I’m tired of the casseroles, pot roasts and other types of comfort food that I have been making indoors since the cold weather blew in. 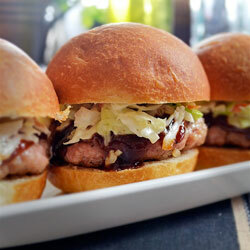 For this recipe, I make sliders from ground pork. 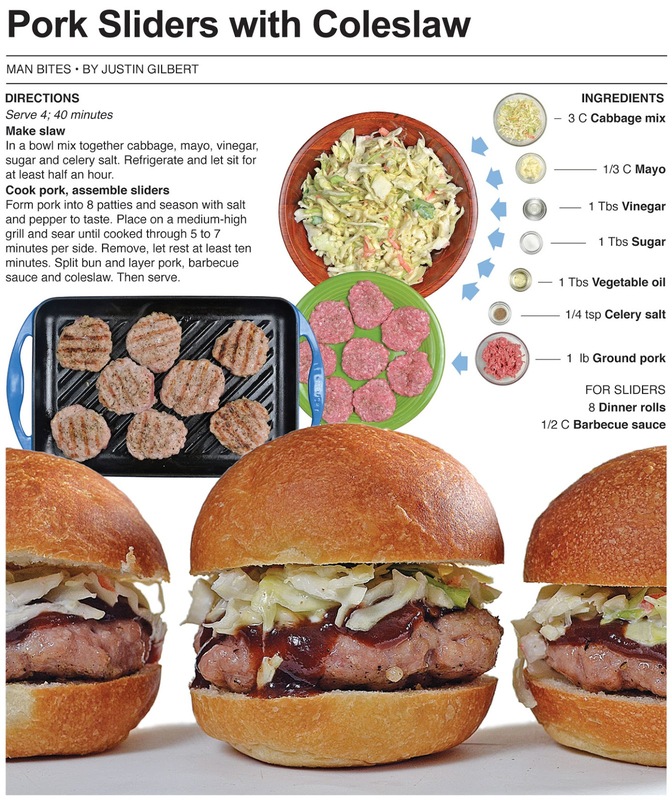 To add to the warm weather ambiance, I top them with barbecue sauce and coleslaw, a summer party favorite that works great as a side but even better as a crunchy topping for this sandwich. Making these wasn’t as thrilling as an outdoor grill-a-thon in cargo shorts and a T-shirt, but it might be enough to get me through the rest of winter without going out of my mind. I recently made a spicy Southwestern version of coleslaw and had some cabbage leftover. I decided to make a normal version so it didn’t go to waste and that’s when I thought it would be cool to use it as a topping for sliders. I often have a lot of leftovers and the cabbage is a perfect example. Throwing away food is just throwing away money and I have made it my goal recently to cut down on what I toss in the garbage - much of which is leftover stuff I have made for the print column and this site. It’s not that it tastes bad, it’s more about buying to much initially and only part of it gets used. It seems as though I always buy one to many tomatoes or an extra jalapeno that ends up getting thrown away. The cabbage was extreme though - I only used half the bag initially - this time I put it to good use. In a bowl mix together cabbage, mayo, vinegar, sugar and celery salt. Refrigerate and let sit for at least half an hour. 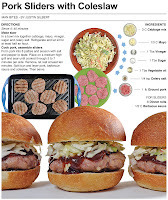 Form pork into 8 patties and season with salt and pepper to taste. 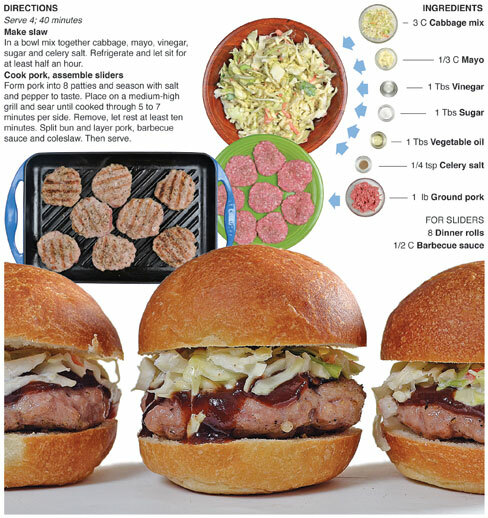 Place on a medium-high grill and sear until cooked through 5 to 7 minutes per side. Remove, let rest at least ten minutes. 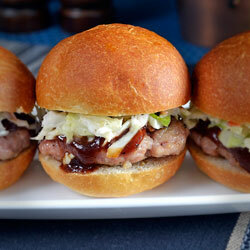 Split bun and layer pork, barbecue sauce and coleslaw. Then serve.